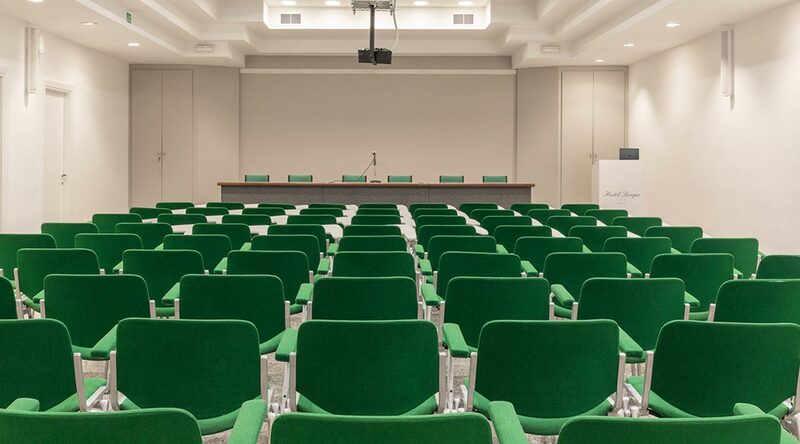 Hotel Serapo is equipped with as many as 7 halls for conventions, conferences, company events, presentations and meetings. 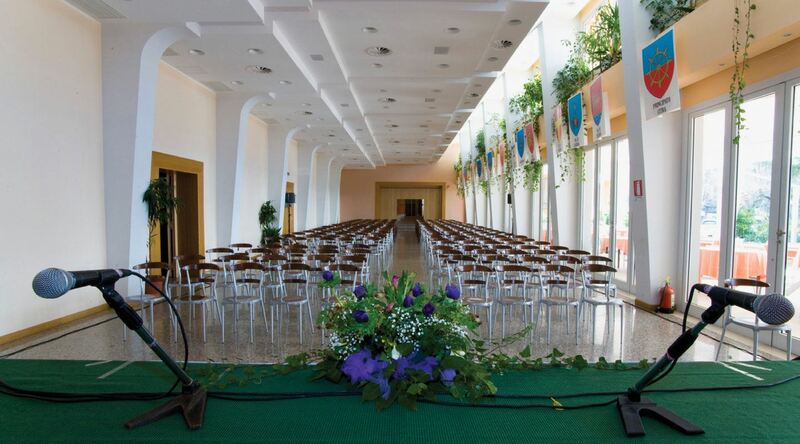 The spaces differ in size (seating up to 300 people) and are equipped with the latest technological support systems. 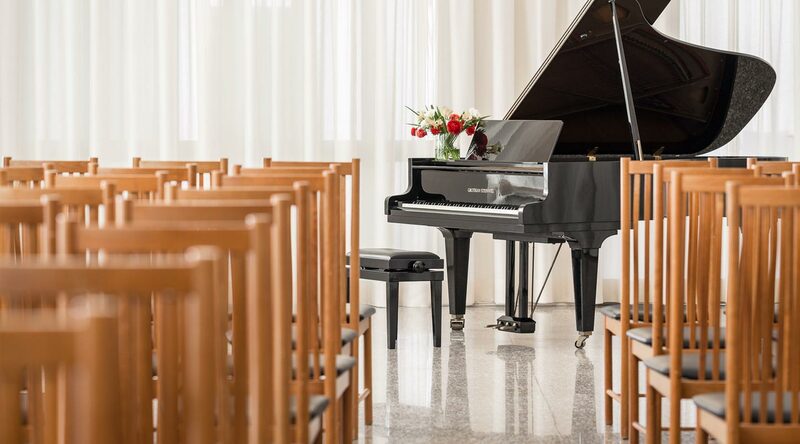 The hotel guarantees professionalism and confidentiality for any type of event, and can offer accommodation to the participants in its welcoming rooms equipped with all the comforts and immersed in a relaxing natural setting. Convention participants will have access to a Mediterranean garden with a swimming pool and hydro-massage, a well-equipped beach belonging to the hotel, a gym and sports swimming pool during scheduled hours, besides desirable terraces overlooking the sea for daily relaxation. Besides the traditional lunch and dinner breaks, welcoming drinks, sandwich buffets, coffee breaks, brunches, snack lunches, business and gala dinners can be integrated into the work or training schedules. Small room surrounded by large windows, flooded with natural light. Suitable for creating an intimate environment. Sala Verde is equipped with all necessary comforts and technologies at the service of your business. The hall is spacious and well lit. Saletta Meridiana is a cosy interior, flooded with natural light, perfect for making all your moments unique.